The Chocolate Muffin Tree: Our New Spirograph Set! Here are some of C's first spirograph drawings. I'm sure that there will be more to come. Did you have a Spirograph when you were a child? I don't believe I had a spirograph set, but my neighbors did, and I got to use their set a lot. I loved it! Later I had an electric device that you put markers into and by adjusting the arm you could make lots of variations in the sprials. That was also really fun, but definitely didn't require the same level of concentration and fine motor skills. 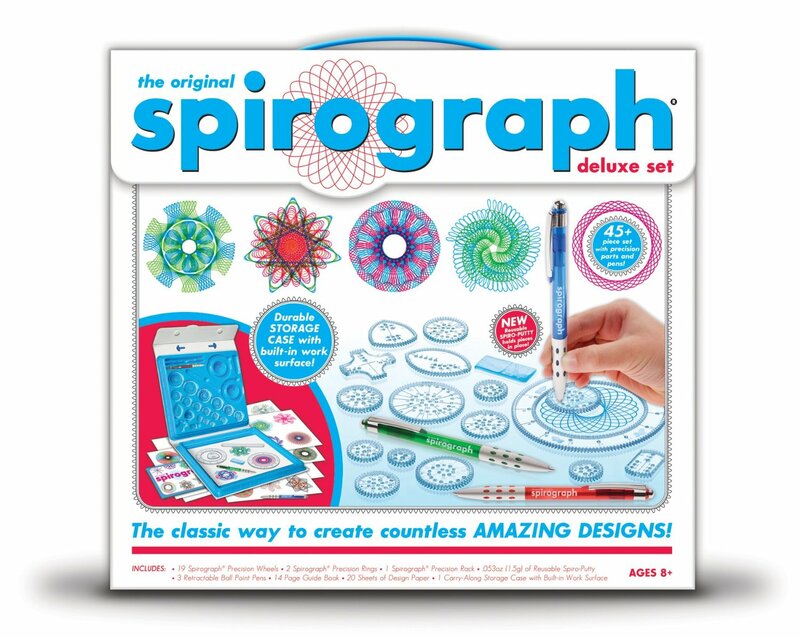 I will have to check out the spirograph on Amazon. My cousin's son is 8 and might really enjoy it. I'm sure my students would enjoy it too!